Kaliyaperumal Anbukkarasi and Thiyagamoorthy Umamaheswari. 2017. Assessment of polymers as an alternative carrier for rice endophytes for use as bioinoculants. Res. Environ. Life Sci., 10(3): 257-260. Kaliyaperumal Anbukkarasi, Dhiraj Kumar Nanda, Thiyagamoorthy Umamaheswari, Thiagarajan Hemalatha, Prashant Singh, Rameshwar Singh. 2014. Assessment of expression of Leloir pathway genes in wild type galactose fermenting Streptococcus thermophiles by real‑time PCR. Eur. Food Res Technol., 239(5): 895-903. Participated in the National Seminar on “Recent Advances in the Development of Fermented Foods” held at Banaras Hindu University, Uttar Pradesh during 8-9th April 2011. Attended training and presented paper on ‘Isolation and authentication of Rhizobium’ In: ICAR-CAS training. Dept. of Agrl. Microbiology, Tamil Nadu Agricultural University, Coimbatore during 25 March – 13th April, 2006. Affiliation: Department of Conservative Dentistry and Endodontics, SRM Kattankulathur Dental College, SRM Institute of Science and Technology (formerly known as SRM University). 1 Year 5 months at SRM Kattankulathur Dental College, SRM Institute of Science and Technology (formerly known as SRM University). Affiliation: Department of English and Foreign Languages, Kattankulathur Campus, SRM Institute of Science and Technology (formerly known as SRM University). The Impact of Enhancement of LSRW skills through ESP (English for Specific Purposes) course for engineering students”, Man in India (2016). Chapter published on “ An Empirical Study on Push / Pull Motivation Factors Among Women Entrepreneurs in Trichy City, Tamil Nadu”, ( ISBN 978-93-8321-07-1) National Conference on Managerial Challenges in Reinventing the Business Process, organized by Dept. of Management Studies, Eswari Engineering College, Nov. 2013. 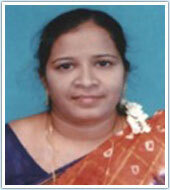 Assistant Professor, SRM Institute of Science and Technology (formerly known as SRM University), since 2012 till date. Head of English Department, Muhyiddin School, Republic of Maldives, 2008. Courses: Foundation Course (SEDE) Madhya Pradesh Bhoj (open) University, Bhopal, 2008. Train the Trainer, IELTS, British Council, Chennai, 2013. Designs effective training modules to improve accent, grammar and overall communication skill for college students. 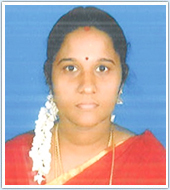 Silver Medalist, Paper Presented on “Crossing the road at Potheri is a fear factor for students and public – A Normative Survey Study” Research Day, SRM Institute of Science and Technology (formerly known as SRM University), 2013. Silver Medalist, Paper Presented on “The Need Of Pastoral Guidance Of Teacher and Puil in the ratio 1:15” “Research Day” SRM Institute of Science and Technology (formerly known as SRM University),2014. Complimented for Best Anchoring Skills, Chroma Workshop, The Business Game Changer and various programs at SRM Institute of Science and Technology (formerly known as SRM University), 2014. Affiliation: Faculty of Science and Humanities, Kattankulathur Campus, SRM Institute of Science and Technology. M.Com A/F, M.Com Gen, B.Com – General, Corporate Secretaryship, BBA, ISM. Book: “Management of Working Finance” , Manglam Publications & Distributors, Delhi -110053, ISBN 978-89972-59-2, 2012. Job market for women employees in IT sector: A study on logical relationship between emotional intelligence and work life balance, International journal of research in engineering, IT and social sciences, Vol.8, 2250 0588, Oct 2018. Psychological behaviour involved in selection of Branded Shirts: A study with reference to Medical representatives in Chennai, International journal of pharmaceutical sciences review and research, Vol.51/Issue. 2, 0976 044X, August 2018. Measuring the Capital Structure, Profitability and EVA: With reference to selected Aviation Firms in India, Journal of Social Science and Humanities Research, Vol.3 / Issue 1, 2456 2971, January 2018. Impact of Emotional Intelligence on Job Performance among Working Women in IT Sector (Chennai) : An Empirical Study, International Journal of Research in Humanities, Arts and Literature, Vol.6 / Issue 1, 2347-4564, Jan 2018. Factors influencing the Purchase of Organic Products: A Pilot study using Garretts Ranking Technique with reference to Erode District, IRJMST, Vol. 8/Issue 1, 2250 1959, 2017. An Empirical Study on Occupational Stress and Health Hazards among Stress and Health Hazards among Medical Laboratory Technicians in Private Diagnostic Center’s in Chennai City, International Journal of Pharmaceutical Research and Review, 35/2, 0976-044X, November 2015. Affiliation: SRM College of Nursing, Kattankulathur, SRM Institute of Science and Technology (formerly known as SRM University). “Optimization in Component Based Fault Oriented Power Distribution System”, Research Journal of Pharmacy and Technology, ISSN 0974-3618, Volume: 11, Issue: 3, 2018.Impact Factor: 0.2. “Energy Efficiency for Secured Smart Village using IoT”, International Journal for Research in Applied Science & Engineering Technology, ISSN: 2321-9653, Volume 6, Issue 2, 2018. “Estimation of Power Distribution in Substation Components using Object Oriented Analysis and Design”, Journal of Scientific & Industrial Research. ISSN: 0975-1084, Volume: 76, Issue: 4, 2017. Impact Factor: 0.5. “Reliability Metrics in Component Based Methods for a Distributed System”, ARPN Journal of Engineering and Applied Sciences. ISSN: 1819-6608, Volume: 12, Issue: 8, 2017. Impact Factor: 0.2. "Component Based Estimation of Balanced and Unbalanced Distribution of Power Flow” International Journal of Frontiers in Science and Technology, ISSN: 2321 – 0494, Volume: 5, Issue: 2, 2017. “Component Based Object Oriented Design in Power Distribution System”, International Journal of Advanced Research Trends in Engineering and Technology, ISSN 2394-3777, Volume: 3, Issue: 20, 2016. “Object Orientation and component based methods in power distribution system”, Advanced Engineering and Applied Sciences: An International Journal, ISSN 2320–3927, Volume: 5, Issue: 4, 2015. “Issues and Impacts in Cloud Computing”, International Journal of Frontiers in Science and Technology, ISSN 2321 – 0494, Volume: 1, Issue: 1, 2014. “Component Based Object Orientation in Power Distribution System, International Journal of Frontiers in Science and Technology.ISSN 2321 – 0494, Volume: 1, Issue: 2, 2014. “Performance Improvement of Bottleneck Link in Red Vegas Over Heterogeneous Networks”, International Journal of Research in Engineering and Technology, ISSN: 2319-1163, Volume: 1, Issue: 3, 2012. 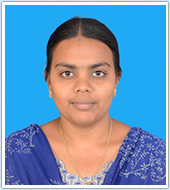 S.P.Angelin Claret and Dr.M.Germanus Alex, Component Based Object Oriented Design in Power Distribution System in ICICST:International Conference on Innovations in Computer Science and Technology, Alagappa University, Karaikudi, April 2016. S.P.Angelin Claret And Dr.M.Germanus Alex, “Power Distribution Analysis And Design Using Object Oriented Metrics In Indian Science Congress Association, SRM Institute of Science and Technology (formerly known as SRM University), Chennai, November 2015. S.P.Angelin Claret,Yamini And Sherine,A Cryptography System For Secure Transmitted Images, NCMTA, SRM Institute of Science and Technology (formerly known as SRM University), Feb 2012. Big Data & Analytics, SRM Institute of Science and Technology (Formerly known as SRM University), March 2016. Matlab Workshop for Engineering Applications, VIT University, Chennai, Aug 2015. Data Analytics using R, SSN College of Engineering, Sept-2014. Web Services, SRM Institute of Science and Technology (Formerly known as SRM University), Sept-2013. Matlab Programming, SRM Institute of Science and Technology (Formerly known as SRM University), July 2013. Advances in Web Technology, SRM Institute of Science and Technology (Formerly known as SRM University), Sept 2011. STTP on Data Acquistion Techniques, SRM Institute of Science and Technology (Formerly known as SRM University), Nov 2007. National Conference on Current Trends in Information Technology, SRM Institute of Science and Technology (Formerly known as SRM University), Jan 2015. National Conference on Image Processing, SRM Institute of Science and Technology (Formerly known as SRM University), Feb 2011. EMC Academic Summit SRM Institute of Science and Technology (Formerly known as SRM University), Feb 2011. 98th Indian Science Congress Quality Education and Excellence in Scientific Research in Indian Universities, SRM Institute of Science and Technology (Formerly known as SRM University), Jan 2011. AICTE-ISTE STTP on Semantic Web Technologies, Sri Krishna College of Engineering and Technology, March 2009. National Conference on Artificial Intelligence & Neural Networks, SRM Institute of Science and Technology (Formerly known as SRM University), Feb 2008. 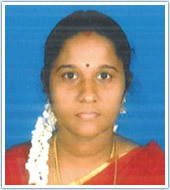 Life Member in “The Indian Society for Technical Education”, M. No: LM 83356. Workshop on “Soil health” at TNAU, Coimbatore (2016). Workshop on “Modeling Tools for Groundwater Contamination Management at TNAU, Coimbatore (2016). Training on “Using Scopus as a research and publishing tool” at TNAU, Coimbatore (2015). Training on “Organic Farming at TNAU, Coimbatore (2014). Poster presentation in the national level “Agricultural Graduate Students Conference – Foster the Future” at TNAU, Coimbatore (2016). Poster presentation in the International Conference on Integrated Land Use Planning For Smart Agriculture (ICILUPSA) at Indian Society of Soil Survey and Land Use Planning, NBSS & LUP, Nagpur (2016). Poster presentation in the International Conference on Contaminated Site Remediation (Clean Up India) at TNAU, Coimbatore (2016). Poster presentation in the national level “Agricultural Graduate Students Conference – Food Safety and Food Security” at TNAU, Coimbatore (2013). Presented a paper entitled “Impact of TDE on ground water quality” in the national conference Calorie’12 at TNAU, Coimbatore. Worked as Senior Research Fellow - for six months in the project entitled “Creation of Soil Nutrient Database through ICP analysis and Issue of Soil Health Card” at Department of Soil and Environment, AC&RI (TNAU), Madurai. ICAR-SRF award to pursue Ph.D. in any State Agricultural University (2013). Prof. Balakrishnan award for securing highest cumulative credit points obtained in all courses offered in M.Sc. (2012). Affiliation: Department of Biomedical Engineering, Faculty of Engineering and Technology, Kattankulathur Campus, SRM Institute of Science and Technology (formerly known as SRM University). I Keren Evangeline, S P Angeline Kirubha, D Raja, “A biomechanical study of T12-L2 in thoracolumbar region of spine affected by tuberculosis”, IOP Conf. Series: Materials Science and Engineering, (2018), 402, 012089, DOI:10.1088/1757-899X/402/1/012089. S.P. Angeline Kirubha,⁎ , M. Anburajana , B. Venkataramanb , M. Menaka, “A case study on asymmetrical texture features comparison of breast thermogram and mammogram in normal and breast cancer subject”, Biocatalysis and agricultural biotechnology, (2018), Volume 15, pp. 390-401. SNIP: 0.887. Angeline S.P. Kirubha., Minnita Rachel., Micheal Anburajan., “Automated multimodal segmentation of an abnormal breast mass in mammogram”, The Institution of Mechanical Engineers Proceeding: Journal of Engineering in Medicine, (2016), pp.1-16., DOI: 10.1177/0954411916638380, (Indexed in SCI and Scopus & its Impact factor: 1.329). 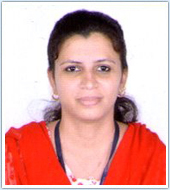 Alankruti Rajput, S. P. Angeline Kirubha, “Biocompatible iron oxide nanoparticles for enhancement of MRI, thermography and thermal ablation, International Conference on communication and signal processing (ICCSP), Indexed in IEEE explore, 2016, pp. 0128 – 0132, ISBN: 978-1-4673-8549-7 DOI: 10.1109/ICCSP.2016.7754108. https://ieeexplore.ieee.org/document/7754108/. Angeline S.P. Kirubha., Micheal Anburajan., “Classification of abnormal breast neoplasm from mammogram images”, Vol. 14 (2016), pp.66-74., CIC 2016 Special Issue International Journal of Computer Science and Information Security (IJCSIS), https://sites.google.com/site/ijcsis/, ISSN 1947-5500. Angeline S.P. Kirubha., M. Anburajan., B. Venkataraman., M. Menaka., “Comparison of PET–CT and thermography with breast biopsy in evaluation of breast cancer: A case study”, Infrared Physics & Technology, Elsevier, 73 (2015), pp.115–125. http://dx.doi.org/10.1016/j.infrared.2015.09.008 - Impact factor: 1.55. Manju Gobinath., Angeline Kirubha S.P., “Real Time Monitoring of Posture to Improve Ergonomics” , Journal of Biomedical Engineering and Medical Imaging, Volume 2, Issue 1, ISSN 2055-1266, (2015), DOI: 10.14738/jbemi.22.1160. S. P. Angeline Kirubha., M. Anburajan., B. Venkataraman, R., Akila, D., Sharath., Baldev Raj., “Evaluation of Mammary Cancer in 7,12-Dimethylbenz(a) anthracene-Induced Wister Rats by Asymmetrical Temperature Distribution Analysis Using thermography: A Comparison with Serum CEA Levels and Histopathology”, Journal of Biomedicine and Biotechnology, Volume 2012, Article ID 786417, 11 pages doi:10.1155/2012/786417, – Impact Factor: 2.436. http://www.hindawi.com/journals/jbb/2012/786417/. 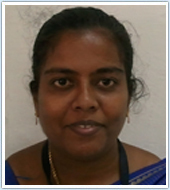 Ranjitha Rebecca Jeevan, E.Vijayaragavan, Angeline Kirubha, “Dimensional modeling of an ankle foot orthosis for clubfoot deformity”, International Journal of Biomedical Research, 2, 2011, pp.171‐180, DOI: 10.7439/ijbr.v2i3.90. Tincey Varkey., V. Prabhu., Ravichandran., Gajendran., S.P. Angeline Kirubha., “Design And Implementation Of An Applanation Tonometer Using Hollow Shaft Potentiometer”, International Journal Of Biomedical Engineering And Consumer Health Informatics, Volume 3, Number 2, 2011, ISSN: 0973-6727,pp. 87-94. 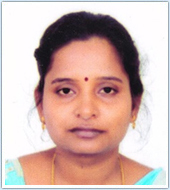 Angeline Kirubha S.P., Debolina, M. Anburajan "Quantum dots for Bioimaging: A Review" in Proceedings of National Symposium on Advanced Medical Imaging (NSAMI'09), Proceedings Published by: Excel India Publishers, New Delhi, pp. 53-57, ISBN: 978-93-80043-31-9. Angeline Kirubha S.P, M. Anburajan, ‘Spectrometric Techniques for Diagnosis of Breast Cancer’’, IEEE International Conference on Computer Communications and Informatics, Indexed in IEEE explore; pp.1-4, P-ISBN: 978-1-4577-1580-8, DOI: 10.1109/ICCCI.2012.6158812. Sonal Raju, Angeline Kirubha S.P., “Uninterrupted wireless patient monitoring on laptop or display”, International conference on Advanced electrical and electronics engineering (ICAEEE), May 12th, 2013. 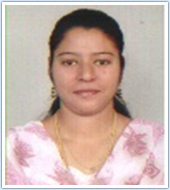 Alankruti Rajput, S. P. Angeline Kirubha, “Biocompatible iron oxide nanoparticles for enhancement of MRI, thermography and thermal ablation, International Conference on communication and signal processing (ICCSP), Indexed in IEEE explore, 2016, pp. 0128 – 0132, ISBN: 978-1-4673-8549-7 DOI: 10.1109/ICCSP.2016.7754108. 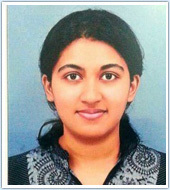 Karthika durairaj, Angeline Kirubha S. P, “Identification of stenosis in coronary arteries using velocity and wall shear stress analysis”, IEEE sponsored International Conference on Electronics, Communication and Aerospace Technology (ICECA 2017), signal processing (ICCSP), at RVS Technical campus, Coimbatore, April 20th to 22nd , 2017. Mohammed Riyaz, M. Swadhi Priya, B. Aishwarya, A. Asif Mohammed, Oinam Robita Chanu, S.P.Angeline Khirubha, “Study of the mobile phone radiation effect on the facial region using headphone and Bluetooth modules”, International Conference on Bioengineering on health and environment”, at Sathyabama Institute of Science and Technology, Chennai, 8-10th Jan 2018. Angeline Kirubha S.P, Alankruti Rajput, “Enhancement of thermal imaging by iron oxide nanoparticle – Preliminary study”, International Conference on Bioengineering on health and environment”, at Sathyabama Institute of Science and Technology, Chennai, 8-10th Jan 2018. Keren Evangeline, S. P. Angeline Kirubha, D. Raja, “A Biomechanical study of T12-L2 in thoracolumbar region of spine affected by tuberculosis”, International Conference on Advances in Mechanical Engineering, at SRM Institute of Science and Technology, 23rd March 2018. Akash T, Bahni Roy, S.P. Angeline Kirubha, “Infrared thermography for correlating blood pressure and temperature”, International conference on Materials, Applied physics and Engineering (ICMAE), 3rd and 4th June 2018. Delivered Guest Lecture on the topic “Application of Image processing in biomedical sciences” in National conference on Image processing” Conducted at SRM Institute of Science and Technology (formerly known as SRM University) (Computer Science Department) conducted during 14th – 15th February 2011 and acted as Chair Person for paper presentation. Delivered Guest Lecture on the topic “Breast cancer diagnosis” "ICMR sponsored National workshop on earlier diagnosis of Breast cancer and Cervical cancer" organized by Kongu Engineering college, Perundurai, Erode, on 21-06-2014. Delivered Guest Lecture on the topic “Feature Extraction techniques” one day in two week Short Term Training Course on “Biomedical Imaging Informatics–Analysis, Diagnosis, Probabilistic and Mathematical Physics of Various Biomedical Image Computing Algorithms for Human Health Care” sponsored by DBT from 06-09-2016 to 19-09-2016 Kongu Engineering college, Perundurai, Erode. Received a cash award for paper publication in reputed Journal in Teachers day celebrations 2016, SRM Institute of Science and Technology (formerly known as SRM University). Received a cash award for paper publication in reputed Journal in Teachers day celebrations 2011, SRM Institute of Science and Technology (formerly known as SRM University). Received a cash award for 100% results in the subjects handled (Physiological control system and Human assist Devices) in Teachers day celebrations 2006, SRM Engineering College. Dr. N. Angeline Little Flower currently working on fabrication of polymer based and nanoparticles immobilized polymer membrane for the environmental applications. And also concentrating on synthesis of various nanomaterials through wet-chemical routes. 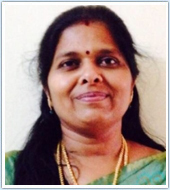 Angeline Little Flower, N., Brabu, B., Revath., M., Gopalakrishnan, C., Kasmir Raja, S.V., Murugan, S.S., Kumaravel, T.S.,“Characterization of synthesized silver nanoparticles and assessment of its genotoxicity potentials using the alkaline comet assay”, Journal of Mutation Research/Genetic Toxicology and Environmental Mutagenesis, 742, pp. 61-65, 2012. Kumar, N.S.V., Flower, N. A. L., Brabu, B., Goplalkrishnan, C., Kasmir Raja S.V. “Degradation of DCE and TCE by Fe-Ni nanoparticles immobilized polysulfone matrix”, Journal of Experimental Nanoscience, 2012. Shivaraman Ramaswamy, Gopalakrishnan, C., Angeline Little Flower, Satyavijaya Kumar, N., and Ponnavaikko, M. “Fabrication of nickel nanodots templated by nanoporous polysulfone membrane: Structural and Magnetic properties” Applied Physics A, 98(3), pp. 481-485, 2010. Ojas Mahapatra., Shivaraman Ramaswamy., Kumar,N., Angeline Littleflower., Gopalakrishnan, C., “Effects of quenching on the morphology and crystal structure of ZnO nanostructures”, Colloid Journal, 73(5), pp. 662-667, 2011. N. Angeline Little Flower, N. Satya Vijaya Kumar , B. Brabu , C. Gopalakrishnan , and S. V. Kasmir Raja., “Fabrication and Characterization of Ag-PSf nanocomposite membrane towards microbial filtration of contaminated water”, International Journal of ChemTech Research, 7(3), pp. 1335-1342, 2015. K. Mani Rahulan, M. Gayathri, Sheela Singh , N. Angeline Little Flower., “Nonlinear Optical limiting behavior of Gd3+ doped CoWO4 nanostructures”, 7(3), pp.1628-1633,2015. N. Saranya, Pandima Devi, Angeline Little Flower and S. Nithiyanantham, “Disruption of Cell Through High Pressure Homogenizer”, Journal of Bionanoscience, 9, pp. 1-3, 2015. Completed Project titled “Development of Nanofilters for Water Purification & Supported Nanoparticles for the Removal of Volatile Organic Compounds (VOCs) from Contaminated Air” funded by Department of Biotechnology (DBT), Govt. of India. A Nanocomposite and a Device for the Filtration of Fluids Comprising the Said Nanocomposite” Indian patent (No. 621/CHE/2011), C. Gopalakrishnan, N. Angeline Little Flower, N. Satya Vijaya Kumar, B. Brabu, Tejabhiram Yadavalli. Recent trends in Nanostructured Materials and their Applications, Osmania University, December 2008. Shimadzu Road Show and Seminar- Aug 2008 –Shimadzu and Spinco Biotech Pvt. Ltd.
Two days workshop on Advanced Analytical Techniques for Materials Characterization (AATMC 2011) organized by Department of Chemistry SRM Institute of Science and Technology (formerly known as SRM University).